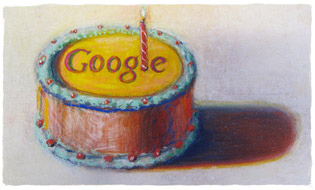 Today is Google's birthday, they are now 15 years old. 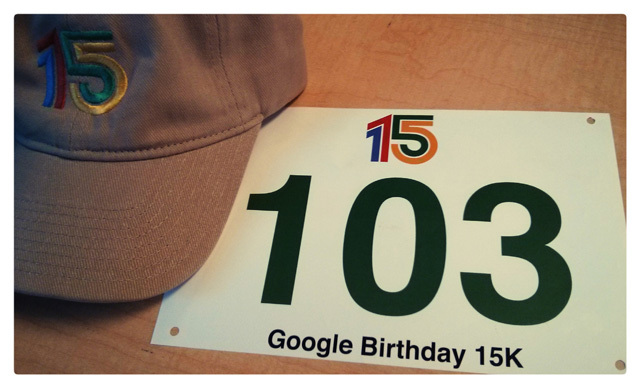 I am currently offline today, so I am not able to check out the Google Doodle (Google Logo) for the day but I have a strong feeling it will look like the cupcake and images used in the 15K race. 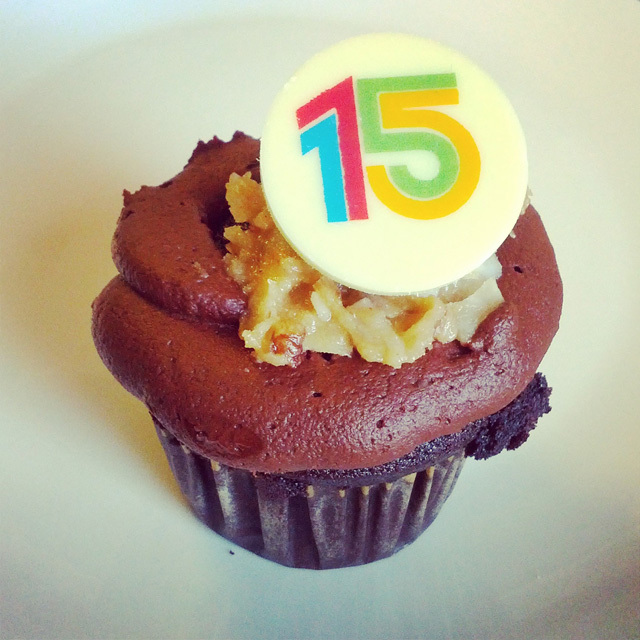 The 15th birthday logo should be live on Google.com and also archived at google.com/doodles/googles-15th-birthday. For the past year birthday logos, see the 14th birthday, 13th birthday, 12th birthday, 11th birthday, the 10th also, 9th, 8th, the 7th and 6th. 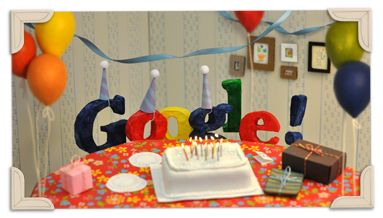 The 7th and 6th were celebrated on different days than the later ones, due to there being confusion on when Google's real birthday is.